Brian H. Solomon has been assisting individuals and corporations in the San Diego area with his financial expertise for the past 25 years. He is experienced in planning personal finances, including the areas of investment, retirement planning, insurance, and estate planning. Brian uses multiple technical and market analysis, in addition to taking his clients' specific financial needs and goals into account, to develop his investment strategies. In witnessing his clients' lives and businesses evolve, Brian has become a trusted resource. Brian has spent his financial career building lasting relationships based on trust, integrity and honesty. His level of care and expertise is such that many of his clients have been with him for more than 20 years. Brian holds multiple security licenses including Series 6, 26, 7, 63, and 65. He graduated from the University of San Diego with a BA in Business Administration with an emphasis on investments and communication. 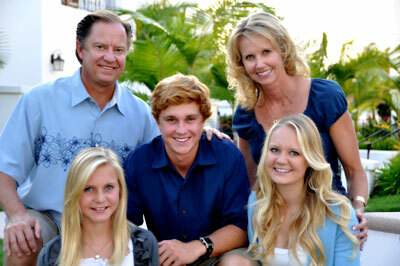 Brian resides in Carlsbad with his wife of 21 years and their three children. He is active in the community with youth sports and currently coaches soccer for the Carlsbad Wave FC. Brian enjoys spending time with his family, surfing, playing golf and snowboarding.